This report submitted by new Board member, Jon Tuite. On May 30th, 2015, I was treated to the truly unique experience of my first PSBA field day. The day started early Saturday morning at 9AM, and upon walking in you were greeted with some coffee and light snacks. Gerardo, the club President, kicked things off with the star of the day, Peter Loring Borst. 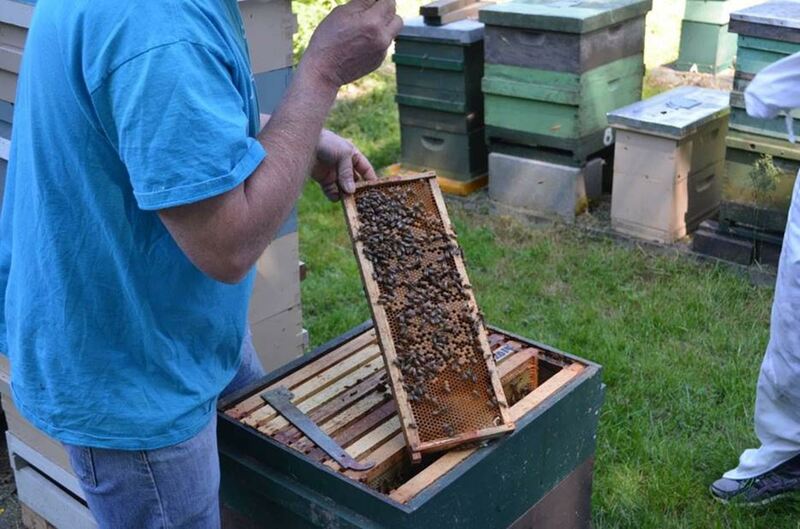 Peter has been a Beekeeper since 1974 and has held various positions such as Apiary Inspector, Senior Apiarist, and writer for the American Bee Journal. In the first lecture, Peter spoke about sustainable beekeeping, and what this means today. Peter started off with the scary number of hive loss, but explained that there are reasons for this. He recounted back in World War II, hives were at their peak. Everyone and their brother was a beekeeper all of a sudden. Why? Because the government wanted the beeswax for military applications. Not only would they subsidize you as a beekeeper, but they would keep you safe at home with your bees, and not out fighting the war. This caused an explosion in the number of hives in North America! Since then, the number of hives in the US has been in steady decline, with each year the losses getting worse and worse. Peter had a pretty positive outlook on it, and relayed a message that although there are a lot of contributing factors leading to hive loss, we can change the pattern and create influences that lead to hive gains, similar to what happened in World War II. After a short break, Peter went on with his second lecture about Honeybee health. In this lecture, we went over the various diseases that affect bees. This was very informative and Peter had some excellent pictures that showed the various signs of illness. 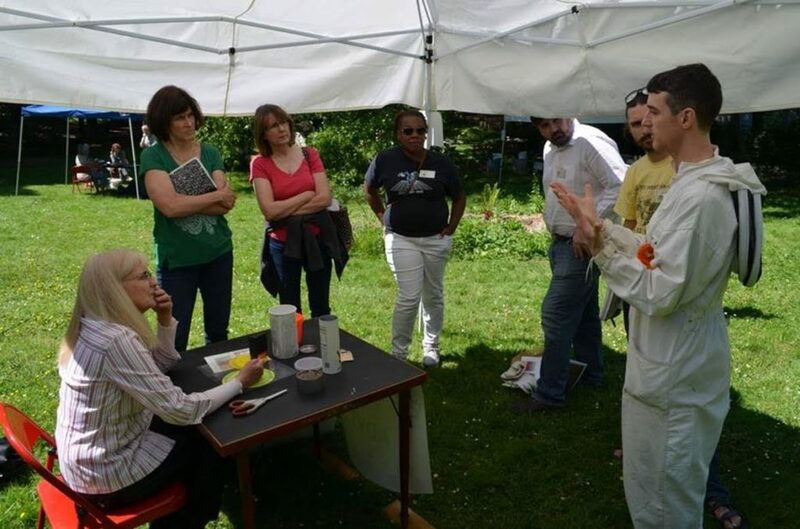 Following the lectures, we all grabbed our beekeeping suits and headed down to the PSBA apiary for some lunch. Next to the apiary is a field where several tents were setup to accommodate various “stations” that groups would rotate through over the next few hours. The most popular tent was the one with the food in it, and we all helped ourselves to some delicious Whole Foods sandwiches and enjoyed the beautiful day. Over the next few hours we split into groups and went through the various stations. We learned about bumblebees from Will Peterman, hive splits from Kathy Cox, how to do fast hive checks from Tim Hiatt. We had a Q&A session with Rusty Burlew of Honeybeesuite.com, and we learned about the waggle dance from Danny Najera. At Danny’s station, he had an interactive app on his iPad that would mimic exactly what the waggle dance would look like, depending on where you moved the food source. Learning how bees can speak to one another, and recruit through a dance made me appreciate how incredible these creatures really are! 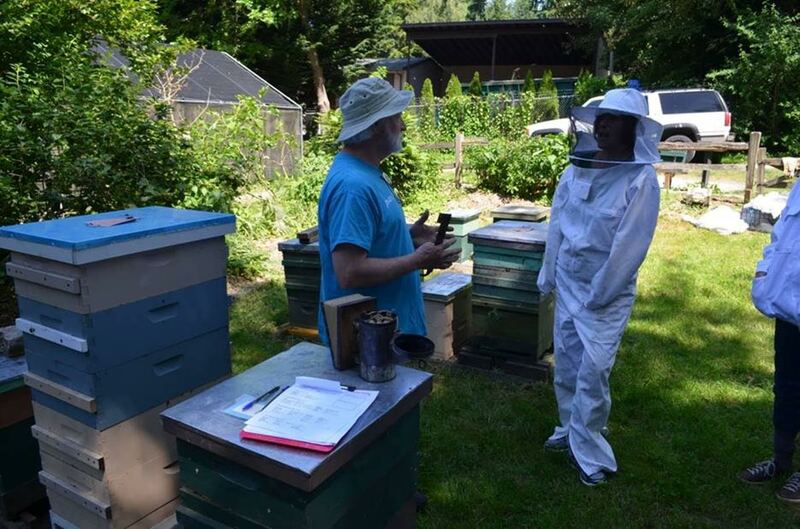 One of our last stops in the day was in the apiary itself, with Peter Loring Borst. By the end of the day, I felt like I knew more about honeybees, bumblebees, and hive maintenance than I did when I woke up that morning. Also, I walked away with a new perspective that, with proper beekeeping techniques and community education, we can each do our part to help change the pattern of hive loss. 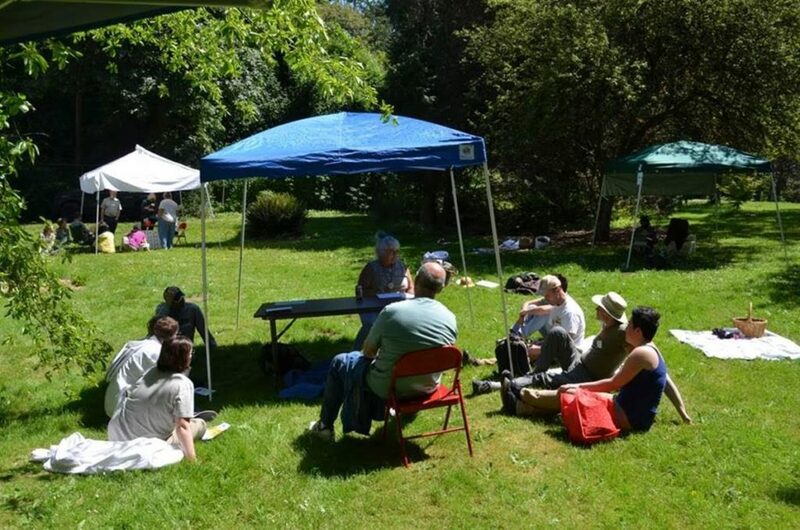 PSBA Field Day is an annual event offered to help beekeepers expand their knowledge and practical skills in beekeeping. This year PSBA is offering a first ever Field Day for Kids on August 22nd 10am-1pm. 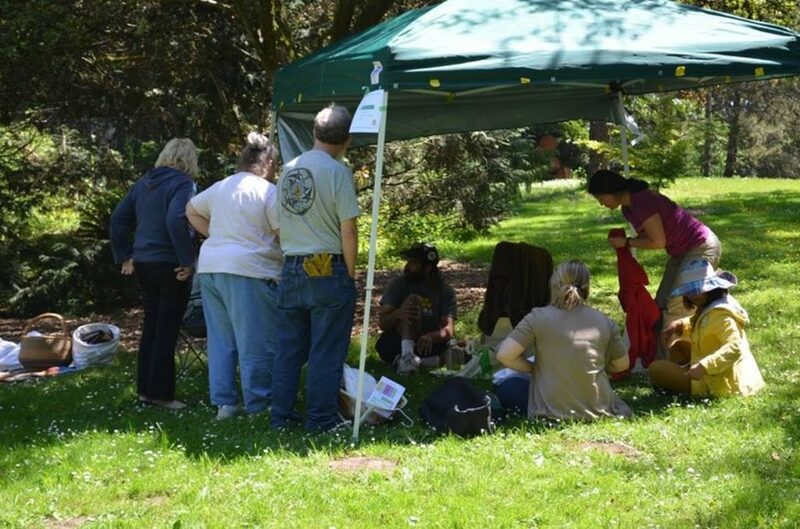 It is an event intended for kids of all ages to learn about bees. Registration is free!